Recently Developed Synthetic Compounds with Anti-infective Activity. C. González-Bello*. Curr. Opin. Pharmacol. 2019, 48, 17-23 (doi: 10.1016/j.coph.2019.03.004). Identification of a Common Recognition Center for a Photoactive Non-Steroidal Antiinflammatory Drug in Serum Albumins of Different Species. O. Molins-Molina, E. Lence, D. Limones-Herrero, C. González-Bello, M. A. Miranda,* M. C. Jiménez*. Org. Chem. Frontiers 2019, 6, 99-109. (doi: 10.1039/C8QO01045E). The Inhibition of Lipid A Biosynthesis - The Antidote Against Superbugs?. C. González-Bello. * Advanced Therapeutics 2019, 2, 1800117 (doi: 10.1002/adtp.201800117). QM/MM Simulations Identify the Determinants of Catalytic Activity Differences Between Type II Dehydroquinase Enzymes. E. Lence, M. W. van der Kamp,* C. González-Bello,* and A. J. Mulholland*. Organic Biomolecular Chemistry 2018, 16, 4443-4455 (link). A Combined Photophysical and Computational Study on the Binding of Mycophenolate Mofetil and its Major Metabolite to Transport Proteins. V. Vendrell-Criado, C. González-Bello, M. A. Miranda,* and M. C. Jiménez*. Spectrochimica Acta Part A: Molecular and Biomolecular Spectroscopy 2018, 199, 308-314 (link). 31.5.1.5.12 Synthesis of Phenols and Phenolates from Nonaromatic Precursors (Update 2018). C. González-Bello. In Science of Synthesis, Knowledge Updates 2018/3. Bagley, M. C.; Banert, K.; Joule, J. A.; Murai, T.; Ramsden, C. A.; Fuerstner, A.; Carreira, E. M.; Faul, M.; Kobayashi, S.; Koch, G.; Molander, G. A.; Nevado, C.; Trost, B. M.; You, S.-L. Eds. Thieme. Stuttgart. 2018, pp 417-473 (link). 31.5.1.4.3 Synthesis of Phenols and Phenolates with Retention of the Functional Group (Update 2018). C. González-Bello. In Science of Synthesis, Knowledge Updates 2018/1. Brøndsted Nielsen, M.; Krause, N.; Rademann, J.; Ramsden, C. A.; Reissig, H.-U. ; Fuerstner, A.; Carreira, E. M.; Faul, M.; Koch, G.; Molander, G. A.; Shibasaki, M.; Thomas, E. J.; Trost, B. M. Eds. Thieme. Stuttgart. 2018, pp 245-254 (link). 31.5.1.3.6 Synthesis of Phenols and Phenolates by Rearrangement (Update 2018). C. González-Bello. In Science of Synthesis, Knowledge Updates 2018/1. Brøndsted Nielsen, M.; Krause, N.; Rademann, J.; Ramsden, C. A.; Reissig, H.-U. ; Fuerstner, A.; Carreira, E. M.; Faul, M.; Koch, G.; Molander, G. A.; Shibasaki, M.; Thomas, E. J.; Trost, B. M. Eds. Thieme. Stuttgart. 2018, pp 239-244 (link). 31.5.1.2.7 Synthesis of Phenols and Phenolates by Elimination (Update 2018). C. González-Bello. In Science of Synthesis, Knowledge Updates 2018/1. Brøndsted Nielsen, M.; Krause, N.; Rademann, J.; Ramsden, C. A.; Reissig, H.-U. ; Fuerstner, A.; Carreira, E. M.; Faul, M.; Koch, G.; Molander, G. A.; Shibasaki, M.; Thomas, E. J.; Trost, B. M. Eds. Thieme. Stuttgart. 2018, pp 233-238 (link). 31.5.1.1.18 Synthesis of Phenols and Phenolates by Substitution (Update 2018). C. González-Bello. In Science of Synthesis, Knowledge Updates 2018/1. Brøndsted Nielsen, M.; Krause, N.; Rademann, J.; Ramsden, C. A.; Reissig, H.-U. ; Fuerstner, A.; Carreira, E. M.; Faul, M.; Koch, G.; Molander, G. A.; Shibasaki, M.; Thomas, E. J.; Trost, B. M. Eds. Thieme. Stuttgart. 2018, pp 211-232 (link). Mapping a protein recognition centre with chiral photoactive ligands. An integrated approach combining photophysics, reactivity, proteomics and molecular dynamic simulation studies. D. Limones-Herrero, R. Pérez-Ruiz, E. Lence, C. González-Bello, M. A. Miranda,* and M. C. Jiménez*. Chemical Science 2017, 8, 2621-2628. Link. Specific Chemical Modification of Bacterial Type I Dehydroquinase – Opportunities for Drug Discovery. C. González-Bello*. Future Medicinal Chemistry 2015, 7, 2371-2383. Covalent Inhibition of Bacterial Type I Dehydroquinase - Opportunities for anti-virulence therapies. C. González-Bello*. Medicinal Chemistry 2015, 5(10) 22 (doi: 10.4172/2161-0444.C1.014). Chemical Modification of a Dehydratase Enzyme Involved in Bacterial Virulence by an Ammonium Derivative: Evidence of its Active Site Covalent Adduct. C. González-Bello,* L.Tizón, E. Lence, J. M. Otero, M. J. van Raaij, M. Martinez-Guitian, A. Beceiro, P. Thompson, and A. R. Hawkins. J. Am. Chem. Soc. 2015, 137, 9333-9343. Hydrolysis of imidazolidine ligands mediated by CuII: mononuclear, tetranuclear and 1D CuII-amine complexes. M. Fondo,* J. Doejo, A. M. García-Deibe, J. Sanmartín, C. González-Bello and R. Vicente. Polyhedron 2015, 100, 49-58. Using Surface Enhanced Raman Scattering to Analyze the Interactions of Protein Receptors with Bacterial Quorum Sensing Modulators. C. Costas, V. Lopez-Puente, G. Bodelon*, C. González-Bello, J. Perez-Juste, I. Pastoriza-Santos and L. M. Liz-Marzan*. ACS Nano 2015, 9, 5567-5576. Irreversible Covalent Modification of Type I Dehydroquinase by a Stable Schiff Base. L. Tizón, M. Maneiro, A. Peón, J. M. Otero, E. Lence, S. Poza, M. J. van Raaij, P. Thompson, A. R. Hawkins and C. González-Bello*. Organic Biomolecular Chemistry 2015, 13, 706-716. Insights into Substrate Binding and Catalysis in Bacterial Type I Dehydroquinase. M. Maneiro, A. Peón, E. Lence, J. M. Otero, M. J. van Raaij, P. Thompson, A. R. Hawkins and C. González-Bello*. Biochemical Journal 2014, 462, 415-424. Mechanistic insight into the reaction catalysed by bacterial Type II dehydroquinases. C. Coderch, E. Lence, A. Peón, H. Lamb, A R. Hawkins, F. Gago* and C. González-Bello*. Biochemical Journal 2014, 458, 547-557. Exploring the Water-binding Pocket of the Type II Dehydroquinase Enzyme in the Structure-based Design of Inhibitors. B. Blanco, A. Sedes, A. Peón, J. M. Otero, M. J. van Raaij, P. Thompson, A. R. Hawkins and C. González-Bello*. Journal of Medicinal Chemistry 2014, 57, 3494-3510. Bacterial type II dehydroquinase enzyme: From the reaction mechanism to the structure-based design of inhibitors. C. González-Bello*. Medicinal Chemistry 2014, 4, 28. Irreversible Covalent Modification of Type I Dehydroquinase by a Stable Schiff Base. C. González-Bello*. Medicinal Chemistry 2014, 4, 18. Dual Role of 2-tosylaminomethylaniline as Ligand and Nucleophile in the Copper-mediated Oxidation of Methanol. J. Sanmartín-Matalobos*, A. M. García-Deibe, L. Briones-Miguéns, C. González-Bello, C. Portela-García and M. Fondo. Dalton Transations 2014, 43, 722-728. Mycobacterium tuberculosis Shikimate Kinase Inhibitors: Design and Simulation Studies of the Catalytic Turnover. B. Blanco, V. Prado, E. Lence, J. M. Otero, C. Garcia-Doval, M. J. van Raaij, A. L. Llamas-Saiz, H. Lamb, A. R. Hawkins, and C. González-Bello*. Journal of American Chemical Society 2013, 135, 12366-12376. Comparative Binding Energy (COMBINE) Analysis for Understanding the Binding Determinants of Type II Dehydroquinase Inhibitors. A. Peón, C. Coderch, F. Gago and C. González-Bello*. ChemMedChem 2013, 8, 740-747. Mechanistic Basis of the Inhibition of Type II Dehydroquinase by (2S)- and (2R)-2-Benzyl-3-dehydroquinic Acids. E. Lence, L. Tizón, J. M. Otero, A. Peón, V. F. V. Prazeres, A. L. Llamas, G. C. Fox, M. J. van Raaij, H. Lamb, A. R. Hawkins and C. González-Bello*. ACS Chemical Biology 2013, 8, 568-577 (cover). Development of new antibiotics by targeting essential enzymes in bacteria: Structure-based design and simulation studies. C. González-Bello*. Medicinal Chemistry 2013, 3, 40. Serendipitous formation of 3-tosyl-1,2,3,4-tetrahydroquinazoline. J. Sanmartín-Matalobos,* A. M. García-Deibe, L. Briones-Miguéns, E. Lence, C. González-Bello*, C. Portela-García and M. Fondo. New J. Chemistry 2013, 37, 3043-3049. A convenient Pd-mediated oxidation of 4-methylbenzyl alcohol. L. Briones-Miguéns, A. M. García-Deibe, M. Fondo, J. Sanmartín-Matalobos, E. Lence and C. González-Bello. Proceedings of the 17th International Electronic Conference on Synthetic Organic Chemistry, 1-30 November 2013; Sciforum Electronic Conference Serie 2013, 17, a012; doi:10.3390/ecsoc-17-a012. Mechanistic insights into a Zn-assisted ring-chain tautomerism process involving a 1,2,3,4-tetrahydroquinazoline and a Schiff base. C. Portela-García, J. Sanmartín-Matalobos, A. M. García-Deibe, M. Fondo, E. Lence and C. González-Bello. Proceedings of the 17th International Electronic Conference on Synthetic Organic Chemistry, 1-30 November 2013; Sciforum Electronic Conference Serie 2013, 17, e008; doi:10.3390/ecsoc-17-e008. Copper-mediated aerobic synthesis of 3-tosyl-1,2,3,4-tetrahydroquinazoline from 2-tosylaminomethylaniline and methanol. J. Sanmartín-Matalobos, L. Briones-Miguéns, C. Portela-García, A. M. García-Deibe, M. Fondo and C. González-Bello. Proceedings of the 17th International Electronic Conference on Synthetic Organic Chemistry, 1-30 November 2013; Sciforum Electronic Conference Serie 2013, 17, a003; doi:10.3390/ecsoc-17-a003. Computational studies on the palladium-mediated oxidation of methanol to formaldehyde. L. Briones-Miguéns, C. Portela-García, A. M. García-Deibe, M. Fondo, J. Sanmartín-Matalobos, E. Lence and C. González-Bello. Proceedings of the 17th International Electronic Conference on Synthetic Organic Chemistry, 1-30 November 2013; Sciforum Electronic Conference Serie 2013, 17, e010; doi:10.3390/ecsoc-17-e010. Structural Variety of Zinc and Copper Complexes Based on a 2,3 Disubstituted 1,2,3,4-Tetrahydroquinazoline Ligand. J. Sanmartín-Matalobos*, C. Portela-García, L. Martínez-Rodríguez, C.González-Bello*, E. Lence, A. M. García-Deibe and M. Fondo. Dalton Transations 2012, 41, 6998-7004. Synthesis of 3-Alkyl Enol Mimics Inhibitors of Type II Dehydroquinase: Factors Influencing Their Inhibition Potency. B. Blanco, A. Sedes, A. Peón, H. Lamb, A. R. Hawkins, L. Castedo and C. González-Bello*. Organic Biomolecular Chemistry 2012, 10, 3662-3676 (cover). Metal-assisted Ring-opening/closing Process of a Chiral tetrahydroquinazoline. A. M. García-Deibe, J.Sanmartín-Matalobos*, C. González-Bello, E. Lence, C. Portela-García, L. Martínez-Rodríguez and M. Fondo. Inorganic Chemistry 2012, 51, 1278-1293. Author profile. C. González-Bello. ChemMedChem 2011, 6, 591. A Prodrug Approach for Improving Anti-tuberculosis Activity of Potent Mycobacterium tuberculosis Type II Dehydroquinase Inhibitors. 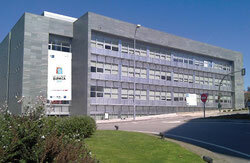 L. Tizón, J. M. Otero, V. F. V. Prazeres, A. L. Llamas-Saiz, G. C. Fox, M. J. van Raaij, H. Lamb, A. R. Hawkins, J. A. Ainsa, L. Castedo and C. González-Bello*. Journal of Medicinal Chemistry 2011, 54, 6063-6084 (cover). Tetrahydrobenzothiophene Derivatives as Inhibitors of type II Dehydroquinase. S. Paz, L. Tizón, J. M. Otero, A. L. Llamas-Saiz, G. C. Fox, M. J. van Raaij, H. Lamb, A. R. Hawkins, A. J. Lapthorn, L. Castedo and C. González-Bello*. ChemMedChem 2011, 6, 266-272. Six-Membered Heterocycles: Pyridine. C. González-Bello and L. Castedo. In Modern Heterocyclic Chemistry. J. Álvarez-Builla, J. J. Vaquero and J. Barluenga Eds. Willey-VCH. Weinheim. ISBN: 978-3-527-33201-4. 2011, Vol 3, pp 1431-1525. Benzenediazonium-2-carboxylate. L. Castedo, C. González, E. Guitián, E. Guitián and G. Nikonov. In e-EROS Encyclopedia of Reagents for Organic Synthesis, Second Edition. Leo Paquette, David Crich, Philip L. Fuchs, and Gary A. Molander Eds. John Wiley & Sons. Chichester. ISBN: 978-0-470-84289-8. 2011, DOI: 10.1002/047084289X.rb006.pub2. Competitive Inhibitors of Helicobacter pylori Type II Dehydroquinase. Structural Details of the Role of The Aromatic Moieties Interactions with Essential Residues. V. F. V. Prazeres, L. Tizón, J. M. Otero, P. Guardado-Calvo, A. L. Llamas-Saiz, M. J. van Raaij, L. Castedo and C. González-Bello*. Drug of the Future 2010, 35 (supl A), 190-191. Enol Mimics with a Flexible Side Chain as Inhibitors of Mycobacterium tuberculosis Dehydroquinase. B. Blanco, A. Sedes, C. Sánchez-Sixto, L. Castedo and C. González-Bello*. Drug of the Future 2010, 35 (supl A), 190. Steady-State Fluorescence and Molecular Dynamic Studies on the Inhibition of Type II Dehydroquinase by (2R)-3-Benzyl-3-Dehydroquinic Acids. A. Peón, L. Tizón, V. F. V. Prazeres, L. Castedo and C. González-Bello*. Drug of the Future 2010, 35 (supl A), 175-176. Functional desymmetrization of 1,3-dioximes for the obtention of 1,2,3-heteo trisubstituted carbocycles. V. B. C. Figueira, A. G. Esqué, R. Varala, C. González-Bello, S. Prabhakar and A. M. Lobo*. Tetrahedron Letters 2010, 51, 2029-2031. Synthesis and Biological Evaluation of New Nanomolar Competitive Inhibitors of Helicobacter pylori Type II Dehydroquinase. Structural Details of the Role of the Aromatic Moieties with Essential Residues. V. F. V. Prazeres, L. Tizón, J. M. Otero, P. Guardado-Calvo, A. L. Llamas-Saiz, M. J. van Raaij, L. Castedo, H. Lamb, A. R. Hawkins and C. González-Bello*. J. Med. Chem. 2010, 53, 191-200. Chiral Aziridination of Olefins using a Chiral Sulfinamide as the Nitrogen Source. V. D. B. Bonifácio, C. González-Bello, H. S. Rzepa, S. Prabhakar and A. M. Lobo*. Synlett 2010, 145-149. Understanding the Key Factors that Control the Inhibition of Type 2 Dehydroquinase by (2R)-2-Benzyl-3-dehydroquinic acids. A. Peón, J. M. Otero, L. Tizón, V. F. V. Prazeres, A. L. Llamas-Saiz, G. C. Fox, M. J. van Raaij, H. Lamb, A. R. Hawkins, F. Gago L. Castedo and C. González-Bello*. ChemMedChem 2010, 5, 1726-1733. 2-Substituted-3-Dehydroquinic Acids as Potent Competitive Inhibitors of Type II Dehydroquinase. V. F. V. Prazeres, L. Castedo, H. Lamb, A. R. Hawkins and C. González-Bello*. ChemMedChem 2009, 4, 1980-1984. A selective Resin for trans-Diequatorial-1,2-diols. E. Lence, L. Castedo and C. González-Bello*. Tetrahedron Letters 2009, 50, 1795-1798. Helicobacter pylori Dehydroquinase Competitive Inhibitors: Synthesis, Biological Evaluation and NMR Studies. V. F. V. Prazeres, C. Sánchez-Sixto, L. Castedo, S. W. Shuh, H. Lamb, A. R. Hawkins, F. J. Cañada, J. Jiménez-Barbero and C. González-Bello*. ChemMedChem 2008, 3, 756-770. Stereoselective Synthesis of Novel Cyclic gamma-Amino acids and Triazole Derivatives. V. F. V. Prazeres, L. Castedo and C. González-Bello*. Eur. J. Org. Chem. 2008, 3991-4003. Nanomolar Inhibitors of Helicobacter pylori Dehydroquinase with Potential Antimicrobial Activity. C. Sánchez-Sixto, V. F. V. Prazeres, L. Castedo and C. González-Bello*. Drugs of the Future 2008, 33 (Supl. A), 177-178. The conformational rigidity of butane-1,2-diacetals as a powerful synthetic tool. E. Lence, L. Castedo and C. González-Bello*. Chem. Soc. Rev. 2008, 37, 1756-1808. The Medicinal Chemistry of Anti-Infectious Agents. C. González-Bello*. Curr. Top. Med. Chem. 2008, 8, 532. Nanomolar Competitive Inhibitors of Mycobacterium tuberculosis and Streptomyces coelicolor Type II Dehydroquinase. 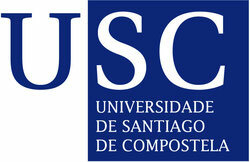 V. F. V. Prazeres, C. Sánchez-Sixto, L. Castedo, H. Lamb, A. R. Hawkins, A. Riboldi-Tunnicliffe, J. R. Coggins, A. J. Lapthorn and C. González-Bello*. ChemMedChem 2007, 2, 194-207 (cover). Progress in Type II Dehydroquinase Inhibitors: from Concept to Practice. C. González-Bello* and L. Castedo. Med. Res. Rev. 2007, 27, 177-208 (cover). 31.5.1 Product Subclass 1: Monohydric Phenols and Corresponding Phenolates. 31.5.1.1 Synthesis by Substitution. C. González-Bello and L. Castedo. In Science of Synthesis, Houben-Weyl Methods of Molecular Transformations, Volumen 31a: Compounds with Two Carbon-Heteroatom Bonds: Arene-X (X= Hal, O, S, Se, Te). Chris Ramsden Ed. Thieme. Stuttgart. ISBN: 978-3-13-118831-1. 2007, Vol 31a, pp 275-304. 31.5.1 Product Subclass 1: Monohydric Phenols and Corresponding Phenolates. 31.5.1.2 Synthesis by Elimination. C. González-Bello and L. Castedo. In Science of Synthesis, Houben-Weyl Methods of Molecular Transformations, Volumen 31a: Compounds with Two Carbon-Heteroatom Bonds: Arene-X (X= Hal, O, S, Se, Te). Chris Ramsden Ed. Thieme. Stuttgart. ISBN: 978-3-13-118831-1. 2007, Vol 31a, pp 305-318. 31.5.1 Product Subclass 1: Monohydric Phenols and Corresponding Phenolates. 31.5.1.3 Synthesis by Rearrangement. C. González-Bello and L. Castedo. In Science of Synthesis, Houben-Weyl Methods of Molecular Transformations, Volumen 31a: Compounds with Two Carbon-Heteroatom Bonds: Arene-X (X= Hal, O, S, Se, Te). Chris Ramsden Ed. Thieme. Stuttgart. ISBN: 978-3-13-118831-1. 2007, Vol 31a, pp 319-330. 31.5.1 Product Subclass 1: Monohydric Phenols and Corresponding Phenolates. 31.5.1.4 Synthesis with Retention of the Functional Group. C. González-Bello and L. Castedo. In Science of Synthesis, Houben-Weyl Methods of Molecular Transformations, Volumen 31a: Compounds with Two Carbon-Heteroatom Bonds: Arene-X (X= Hal, O, S, Se, Te). Chris Ramsden Ed. Thieme. Stuttgart. ISBN: 978-3-13-118831-1. 2007, Vol 31a, pp 331-336. Determination of the Bound Conformation of a Competitive Nanomolar Inhibitor of Mycobacterium tuberculosis Type II Dehydroquinase by NMR Spectroscopy. V. F. V. Prazeres, C. Sánchez-Sixto, L. Castedo, A. Canales, F. J. Cañada, J. Jiménez-Barbero, H. Lamb, A. R. Hawkins and C. González-Bello*. ChemMedChem 2006, 1, 990-996. Synthesis of Spiro Carba-sugars by Ring-Closing Metathesis. C. González-Bello*, L. Castedo and F. J. Cañada. Eur. J. Org. Chem. 2006, 1002-1011. Structure-Based Design, Synthesis and Biological Evaluation of Inhibitors of Mycobacterium tuberculosis Type II Dehydroquinase. C. Sánchez-Sixto, V. F. V. Prazeres, L. Castedo, H. Lamb, A. R. Hawkins and C. González-Bello*. Journal of Medicinal Chemistry 2005, 48, 4871-4881. Synthesis of Amino Carba-sugars and Conformationally Restricted Polyhydroxy-gamma-amino Acids from (−)-Quinic Acid. M. Carballido, L. Castedo and C. González-Bello*. Eur. J. Org. Chem. 2004, 3663-3668. Parallel Solid-Phase Synthesis and Evaluation of Inhibitors of Streptomyces coelicolor Type II Dehydroquinase. C.González-Bello*, E. Lence, M. D. Toscano, L. Castedo, J. R. Coggins and C. Abell. J. Med. Chem. 2003, 46, 5735-5744. Design, Synthesis and Evaluation of Bifunctional Inhibitors of Type II Dehydroquinase. M. D. Toscano, M. Frederickson, D. P. Evans, John R. Coggins, C. Abell* and C. González-Bello. Org. Biomol. Chem. 2003, 1, 2075-2083. Synthesis of Polyhydroxycyclohexanes from (-)-Quinic Acid. C. González-Bello*, M. Carballido and L. Castedo. J. Org. Chem. 2003, 68, 2248-2255. Synthesis of Phenols. C. González-Bello and L. Castedo. In The Chemistry of Phenols Serie Patai; The Chemistry of Functional Groups. Zvi Rappoport Ed. John Wiley & Sons. Chichester. ISBN 978-0-471-49737-0. 2003, Vol 1, pp 395-489. Mild, Aprotic Synthesis of 1,2-Diacetals. E. Lence, L. Castedo and C. González-Bello*. Tetrahedron Letters 2002, 43, 7917-7918. Synthesis of Carba-sugars from (-)-Quinic Acid. M. Carballido, L. Castedo and C. González-Bello*. Tetrahedron Letters 2001, 42, 3973-3976. Mechanistic Studies on Type I and Type II Dehydroquinase with (6R)- and (6S)-6-Fluoro-3-dehydroquinic Acids. E. J. Parker, C. González-Bello, J. R. Coggins and C. Abell. Bioorg. Med. Chem. Lett. 2000, 10, 231-234. Irreversible Inhibition of Type I Dehydroquinase by Substrates for Type II Dehydroquinase. C. González-Bello, J. M. Harris, M. K. Manthey, J. R. Coggins and C. Abell. Bioorg. Med. Chem. Lett. 2000, 10, 405-408. Synthesis of 4-Deoxyquinic, 4-Deoxyshikimic and 4-Deoxy-3-dehydroshikimic Acids. C. González-Bello, J. R. Coggins, A. R. Hawkins and C. Abell*. J. Chem. Soc., Perkin Trans. 1 1999, 849-854. Synthesis of Phenanthridones, Quinolinequinones and 7-Azasteroids. C. González-Bello, Enrique Guitián* and Luis Castedo. Tetrahedron 1999, 55, 5195-5206. Synthesis of 2-Bromo- and 2-Fluoro-3-dehydroshikimic acids and 2-Bromo- and 2-Fluoroshikimic Acids using Synthetic and Enzymatic Approaches. C. González-Bello, M. K. Manthey, J. M. Harris, A. R. Hawkins, J. R. Coggins and C. Abell*. J. Org. Chem. 1998, 63, 1591-1597. Synthesis of Tetrahydroquinolines, Hexahydrobenzoindolizidines and an Aryl Phosphate Linker for the Generation of Catalytic Antibodies. C. González-Bello, C. Abell and F. J. Leeper*. J. Chem. Soc., Perkin Trans. 1 1997, 1017-1024. Synthesis of (2R)-2-Bromodehydroquinic Acid and (2R)-2-Fluorodehydroquinic Acid. M. K. Manthey, C. González-Bello and C. Abell*. J. Chem. Soc., Perkin Trans. 1 1997, 625-628. Evidence from Kinetic Isotope Studies for an Enolate Intermediate in the Mechanism of Type II Dehydroquinases. Johana M. Harris, C. González-Bello, C. Kleanthous, A. R. Hawkins, J. R. Coggins and C. Abell*. Biochemical Journal 1996, 319, 333-336. A New Intramolecular Aryne Cycloaddition Approach to Lycorines. C. González, E. Guitián* and L. Castedo. Tetrahedron Letters 1996, 37, 405-406. Synthesis of Lycorines by Intramolecular Aryne Cycloadditions. C. González, D. Pérez, E. Guitián* and L. Castedo. J. Org. Chem. 1995, 60, 6318-6326. Carboxybenzenediazonium hydroxide Inner Salt. L. Castedo, C. González and E. Guitián. Encyclopedia of Reagents for Organic Synthesis. Leo Paquette Ed. John Wiley & Sons. Chichester. ISBN 978-0-471-93623-7. 1995, pp. 244-247. Total Synthesis of (-)-Neplanocin A from L-Ribulose. K. Vanhessche, C. González and M. Vandewalle*. Synlett 1991, 921-922. New Methods of Synthesis of Amaryllidaceae Alkaloids. B. Gómez, C. González, D. Pérez, E. Guitián* and L. Castedo. Planta Medica 1990, 56, 516-517.